Mexico is a land of diversity, with snow-capped mountains, exotic beaches and scorching deserts, making it no surprise that it is one of the world’s most popular tourist destinations, receiving over 20 million visitors each year. The world-class resorts in Cancun, Acapulco and Cabo San Lucas see the majority of visitors, whilst other people, traveling via cruise ship, arrive at the ports along Baja California and the Yucatan Peninsula, and spend their time exploring the Mexican coast. The best time of the year to visit Mexico would be in November, after the peak tourist season, as well as the rainy season, is over. The seasons to avoid are the peak of the summer, as the weather is uncomfortably hot, and the Easter holidays, as many resorts will be packed with students celebrating Spring Break. 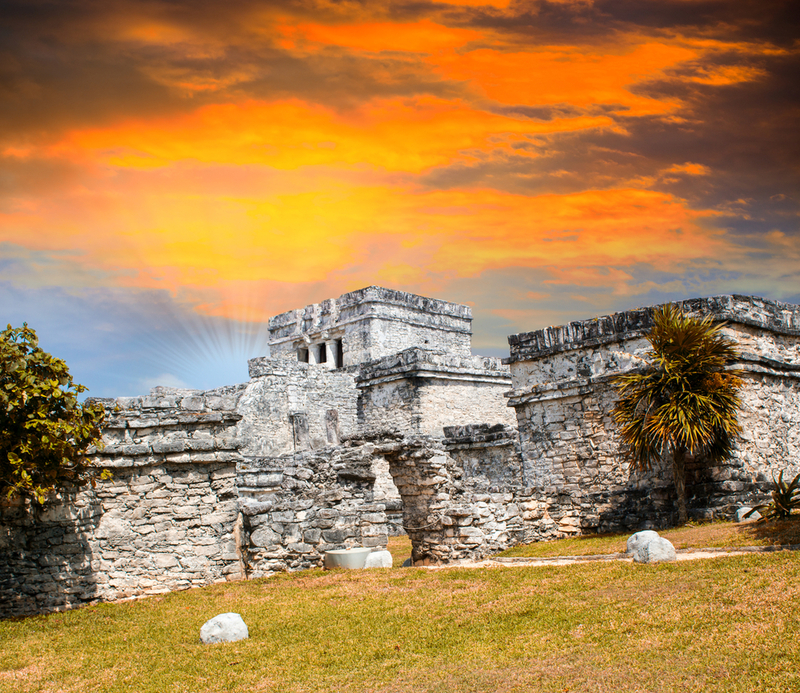 Mexico has plenty of enchanting attractions, and you could spend days exploring the ancient Aztec and Mayan pyramids, as well as the many deserts, rainforests and swamps. There are 58 national parks in Mexico, many of which offer tours by bike, jeep, kayak and horseback, conserving a breathtaking array of flora and fauna varieties. When it comes to diving, the island of Cozumel has the best diving spot in Mexico, and one of the top 5 diving spots in the world. Playa del Carmen is also great for reef diving, snorkeling and cave diving, whilst the Great Maya Reef is a chain of shallow patches where you can see hundreds of species of fish and sea turtles. There are many coastal areas where you can see humpback and blue whales from the shore, but the Sea of Cortez is their breeding ground, and there are many boat operators that take people out to sea to whale watch from close up. 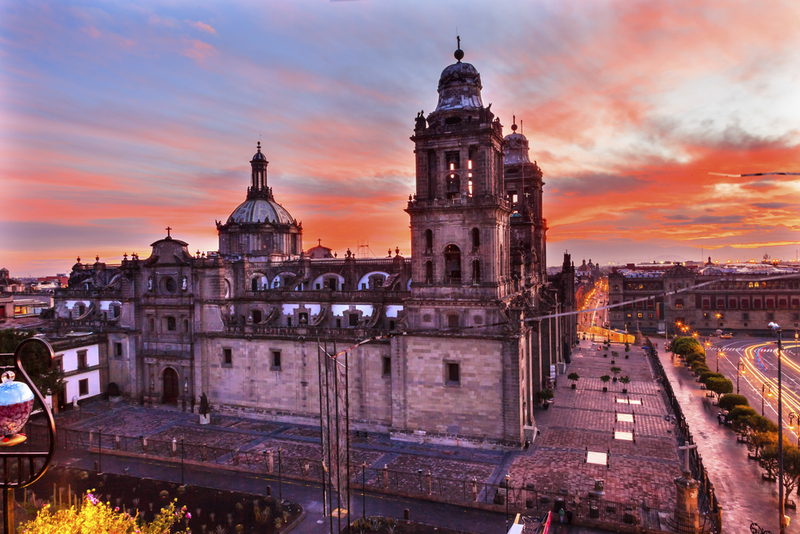 Mexico’s cities are colorful, vibrant and cosmopolitan, with areas that have some gorgeous colonial architecture. For the best restaurants, shops, bars and clubs, Mexico City, the capital of Mexico, is the place to go, with the majority of the nightspots located on Avenida Insurgentes, the longest avenue in the city. The capital is also home to exciting shopping destinations such as the President Masaryk, the most fashionable street in Mexico City and home to a beautiful OROGOLD Store, Centro Santa Fe, Merced de la Cuddle and Paseo Interlomas Shopping Mall (also home to a luxurious OROGOLD Store). Acapulco, another Mexican city, has bars and nightclubs lining the streets throughout the year, giving it the reputation of ‘the city that never sleeps’. Corn is the main ingredient in Mexican cuisine, so you will find that almost every meal that you have in Mexico will be accompanied by a basket of hot tortillas. Dishes such as tacos, flautas, tamales and quesadillas may seem familiar, but taste nothing like the versions you’ve likely tried at Mexican restaurants in other countries. The flavors used in local Mexican cooking are bold, intense and spicy, and some sauces, such as mole, are extremely complex to make, and use over 100 different ingredients. Mexico is also the birthplace of tequila, and fans of the drink should visit the Tequila Trail, featuring some of the most well-known distilleries, located just outside of Guadalajara. While visiting Guadalajara, don’t forget to check out the OROGOLD store located in the Andares Shopping Mall. Mezcal, a drink similar to tequila, is also from Mexico, handcrafted in villages around Oaxaca. Many local families produce their own version of the drink, and will be happy to give you a tour of the distillation process. No matter where your interests may lie, the culture, nature, cosmopolitan buzz and delicious local cuisine of Mexico guarantees you an experience that you will always treasure. To contact the representative in Playa Del Carmen, please call the number listed below. Address: Calle Corazón Plaza, Quinta Avenida Norte 230 Col. Centro, local l17b, Playa del Carmen, Municipio de Solidaridad C.P. 77710, Mexico. Have as yet to receive my order from Cozumel store!! Do you mean the Playa Del Carmen store? You can find the contact information for it here. Holà desde ayer estoy marcando al teléfono que tienen aquí del local del centro comercial Santa Fe para cambiar mi cita de facial de horario pero no logro comunicarme. Mi cita es a las 11 am hoy y aunque he marcado desde temprano para cambiar hora no lo logro. Ojalá se pudieran poner en contacto conmigo para reagendar y’a que estaba esperando la llamada para confirmar para moverla pero no marcaron esta vez.